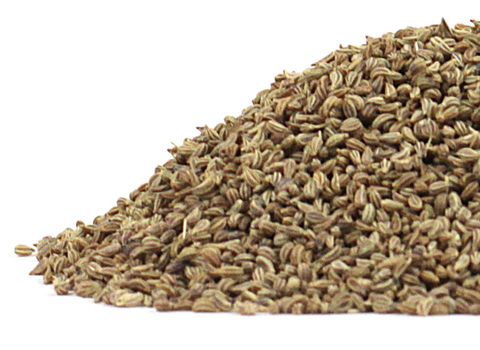 Ajwain seed is commonly used as a spice in African cuisine, lending a flavor that is savory and somewhat bitter. The seeds add balance to sweet soups and stews, and are said to lessen the gaseous effects of beans. Ajwain goes well with chicken, fish, legumes, and in curries, and may be combined with turmeric, paprika, cumin, fennel and coriander.